Tiger Wood’s former wife Elin Nordegren walked away from her disastrous marriage to golfing legend with around $100 million. Half of that was used to pay for the extravagant property in 2014 following their divorce four years earlier. Now, former Swedish model has placed her mansion in North Palm Beach, Florida on he market for a whopping $49.5 million. 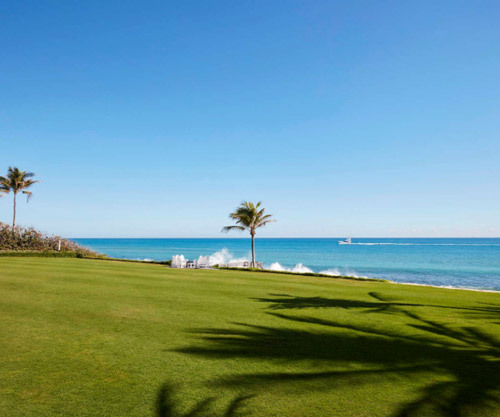 The 23,176 square-foot oceanfront home on 1.4 gated acres in a private, gated community – Seminole Landing comes with 11 bedrooms, 15 full baths, a guest house, and a four-car garage. The elegantly styled kitchen includes a hidden television, a coffee bar, refrigerator drawers, a walk-in pantry, counter seating and a breakfast area with a beach view. 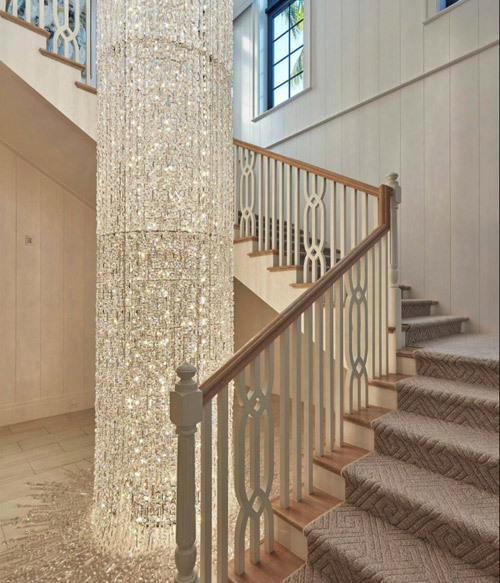 At the center of the soaring stairway, there’s a huge three-story Swarovski crystal chandelier. The master bedroom has his and hers bathrooms, a walk-in closet, three fireplaces and a balcony for enjoying the sights and sounds of the Atlantic Ocean. Each of the four uniquely stylish guest bedrooms includes an en suite bathroom and walk-in closet. 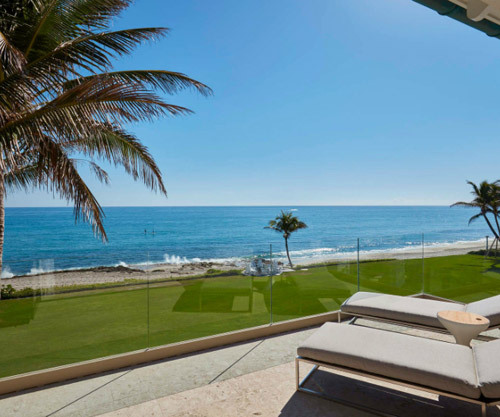 A rooftop terrace affords breathtaking views of the ocean. There’s also a temperature-controlled wine cellar, a home cinema and a fitness center, a swimming pool equipped with a waterslide and spa, lounge areas with fire pits, a half basketball court, and a putting green.